This post is sponsored by Kiwi Crate. This last week, the kiddos and I had the chance to test out a fun new product. I get the chance to review a lot of products on the blog...and I never post a review of a product I don't actually like. But I didn't like Kiwi Crate craft kits. I LOVED them!! Like, reaaally loved them. 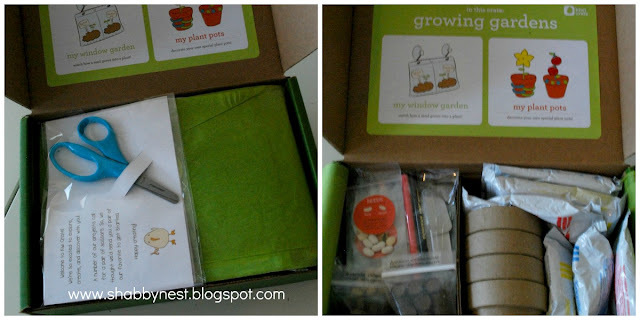 Kiwi Crate Craft Kits are a great idea for parents with little ones who love to create. You sign up for a subscription, and then each month a Kiwi Crate arrives at your home filled with everything you need to make at least two projects. My boys received a Kiwi Crate that had a garden theme. I loved the way it was packaged. It looked fun even when we just opened it up. The kids (my 9-year-old Princess even joined in on the fun) couldn't wait to dig in. 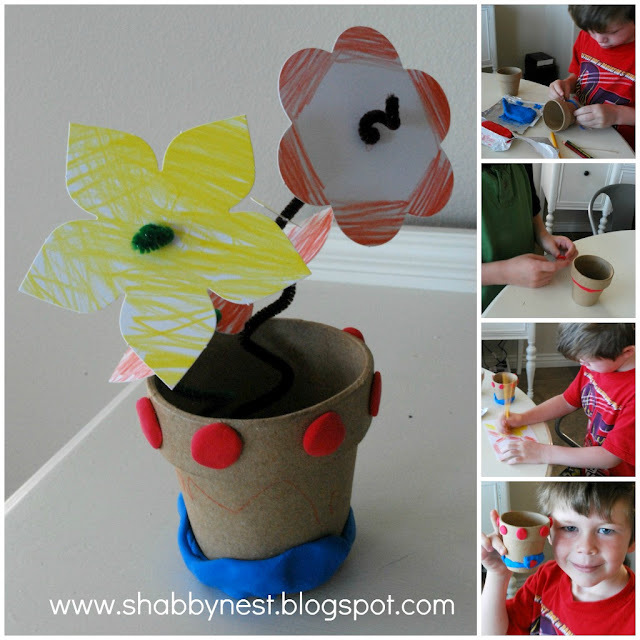 The first project was decorating flower pots and then creating the "plants" to go in them. There were papier mache flower pots, molding clay, colored pencils, punch-out plants and pipe cleaners. The kids decorated their pots, and then colored the plants. I helped them put the plants on the pipe cleaner stems, and then we anchored them in the pots with clay. They turned out really cute! The second project were these fun window gardens. My kids are kind of obsessed with planting things - we've had a cup with sprouting sunflowers and nylon "heads" with grass "hair" sitting on our kitchen window sill most of the spring - so they reaaaally loved this. 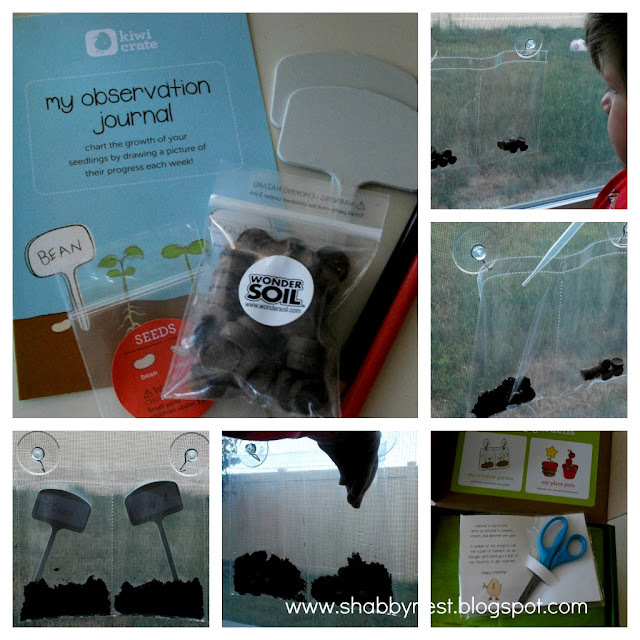 The kit had plastic pockets with suction cups to stick to the window. Dirt pellets that became soil when we added water with the included dropper, and plenty of squash and bean seeds. There were also plastic plant markers and labels for the kids to label which seeds were which. And finally, the kit included an observation journal so that the kids could draw the progress of their plants once a week for a month! These kits do require varying degrees of adult help, and even include instructions for adults to further the educational aspects of the kits with other related activities. I was really happy to see my kids so engaged in creating and I loved the thought and creativity that went into the Kiwi Crate. I'm seriously considering ordering a subscription myself. This post is sponsored by Kiwi Crate. I was selected for this opportunity as a member of Clever Girls Collective, and the content and opinions expressed here are all my own. These really DO look cute...looks like the kids enjoyed them immensely !